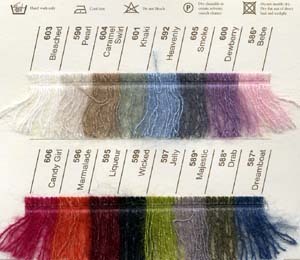 70% super kid mohair, 30% silk, good for lace knitting. 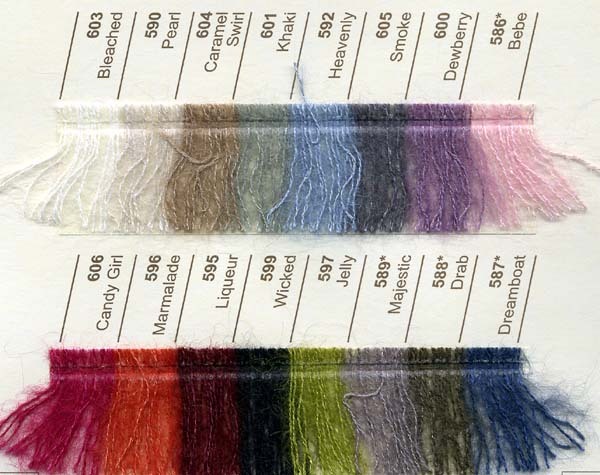 70% super kid mohair, 30% silk. Comes in 25g balls costing about £7 (January 2007). Birch shawl (pattern in Rowan Magazine 34) - see Kake's Birch Shawl for detail photos. Brie gloves from Rowan Magazine 36; uses one skein. This is version 8 (as of 2007-06-09 02:03:28). View current version. List all versions. This is revision 8 (as of 2007-06-09 02:03:28).